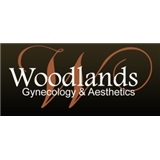 Woodlands Gynecology & Aesthetics (Conroe) - Book Appointment Online! I am a new patient and Dr. Peet was very professional. He addressed my concerns professionally. Very clean office and staff were very nice and professional.